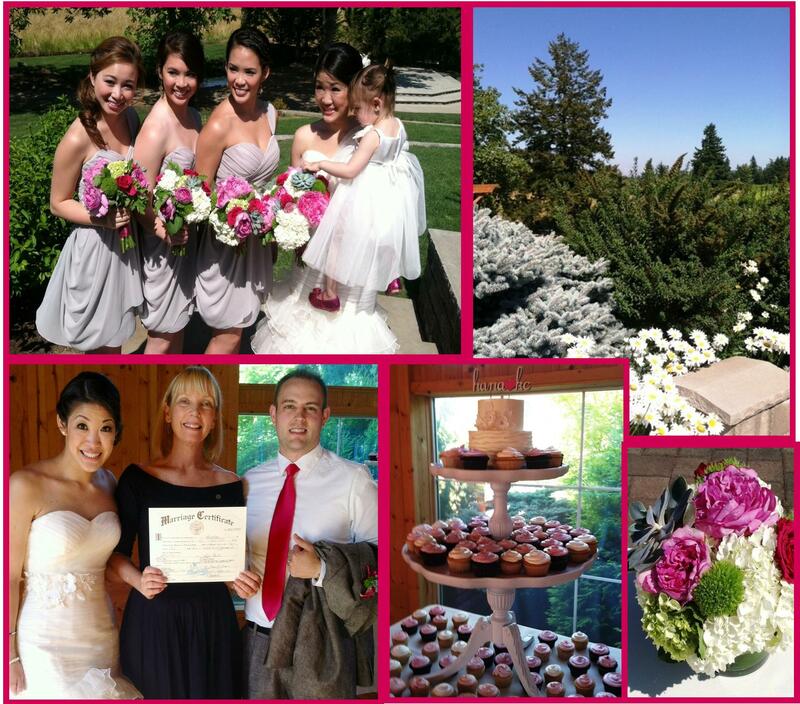 Sunny skies and lush landscape added to a perfect wedding yesterday for Hana and KC. The Camas couple exchanged vows and hosted their reception in Aurora, OR at the Aurora Colony Vineyards. Guests kept cool with straw hand fans as temperatures climbed into the 80’s. Stephanie and the staff of Petalos made sure that everything went smoothly from start to finish. Congratulations, Hana and KC. May your married life be filled with laughter and loving moments as sweet as your hearts!